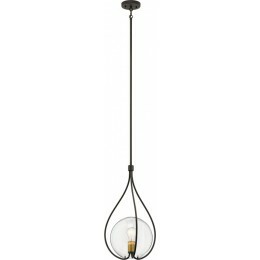 The 22.5" Lynne collection 1-Light pendant brings a calming element to a space. The glass globe is cradled inside a minimalistic frame, creating the look of a droplet suspended in time. A Chrome finish and an oversized design enhance the sophistication.